Waterman's Bluff is one of the finest marina communities in all of Florida. We are now selling new homes, waterfront homes, stunning riverfront home sites and beautiful wooded lots. Home and Lot packages from the lower $400's. Waterman’s Bluff is located in Yulee, Florida near historic Fernandina Beach and beautiful Amelia Island, one of the nation’s most desired vacation destinations. From beaches and parks, to hiking, swimming, boating, fishing and kayaking, this North Florida location has everything you could want within close reach. Just over 30 minutes away is bustling downtown Jacksonville, and 20 minutes away is the Jacksonville International Airport. Just South of Jacksonville is the nation’s oldest city, St. Augustine. View our Lot Map & price list below to see what is available! Want to find out if a lot is available? Fill out the form to find out and schedule a tour! What is the number for this lot/listing, as shown on the map? Yes please! I want to visit. No, I would like to request more information. 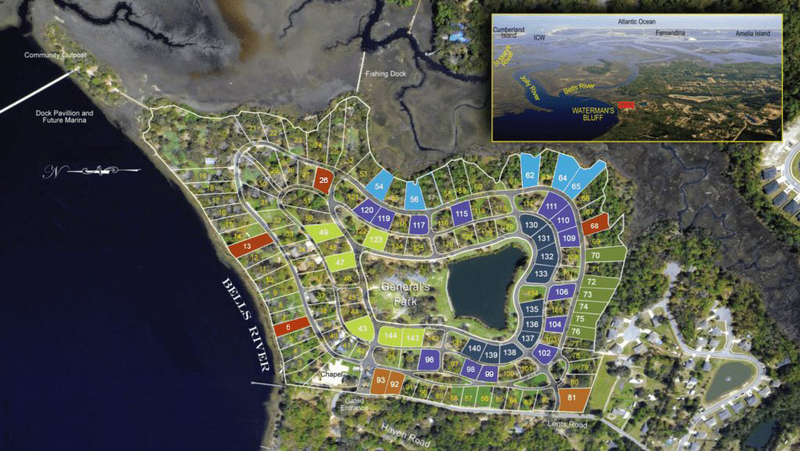 The time is now for waterfront living in Waterman’s Bluff, one of Amelia's premier residential communities. With several homes ready to move into, that dream can easily become a reality. Check out our Move In Ready Homes. Appointments not required, but recommended.